It's raining here at the beach and the house smells of meatloaf. 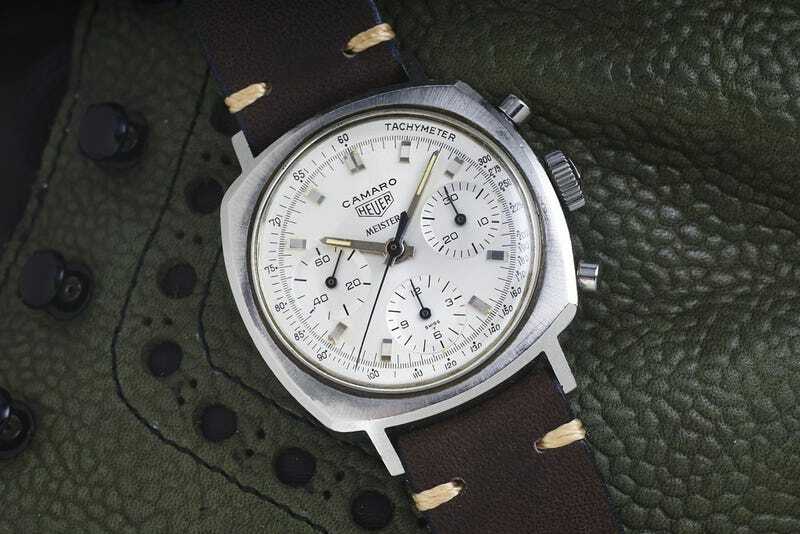 Have your pretty thing of the day, a quite rare and perfectly sized (37mm) Heuer Camaro Silver Meister Dial. EDIT: Post now contains added meatloafliness.